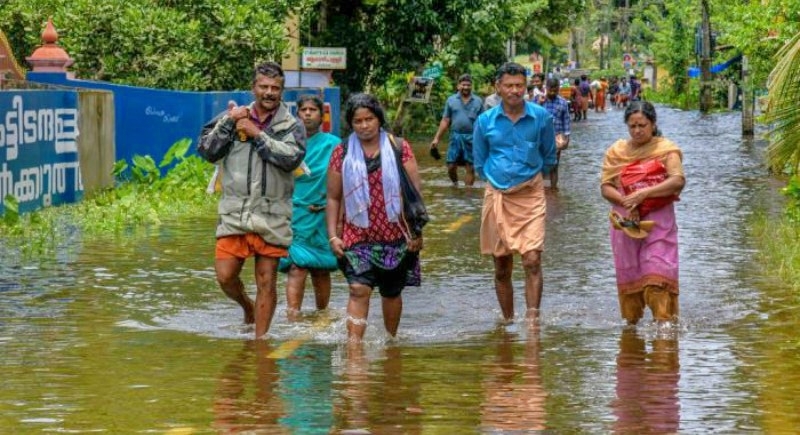 Thiruvananthapuram, August 22: As rainfall in Kerala recedes and with people moving back to pavilion, the fear of outbreak situation is being duly monitored on a daily basis and the strategic Health Operation Centre has been activated. Until now there has been no outbreak of the communicable disease in the state. Addressing in the statement, Health Minister J P Nadda informed that the ministry has been in regular communication with Health Minister of Kerala K KShailaja and is personally monitoring the situation. Secretary (Health) is also in daily communication with the State health functionaries and monitoring the situation daily. The National Centre for Disease Control (NCDC) has issued health advisories to support the state in meeting with post-flood public health management challenges when the threat of water-borne, vector-borne and viral hepatitis diseases becomes potent. In order to stop an irregular situation, 65 metric tons of essential emergency drugs for flood situation have been airlifted by IAF and have reached Trivandrum. With 1 Cr chlorine tablets have been sent along with another 1 Crore in transit. The total request for 4 cr chlorine tablets will be sent in phases. The Health Ministry has further mobilized 20 MT of bleaching powder which is being sent by road of which10 MT will reach today and another 10 MT on Wednesday. Additional 40 MT of bleaching powder is being procured and shall reach Kerala soon. In addition, 12 public health teams have already been constituted, one each for all 12 worst affected districts and ready for deployment on request of the State. Also, 10 specialist medical teams have also been constituted (30 specialists and 20 GDMOs). Besides, psycho-social teams from NIMHANS to be deployed as and when requested by the State government. As the flood situation in Kodagu in Karnataka is also worsening, one medical team from Bangalore to Kodagu district has also been dispatched there to provide necessary support.